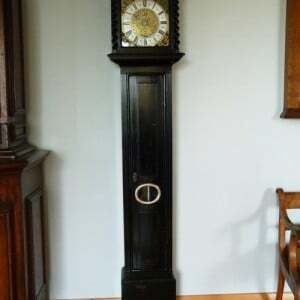 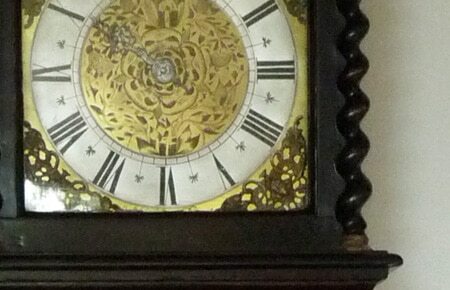 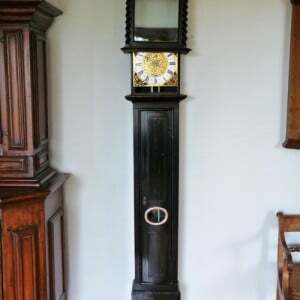 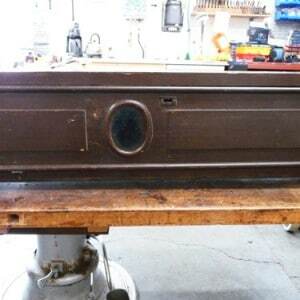 This provincial clockcase arrived with a thick, muddy brown paint all over it but there was clear evidence of a black finish beneath suggesting it was once ebonised. 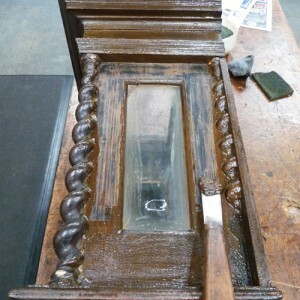 So, firstly we stripped off the brown paint and stared to restore the wood work. 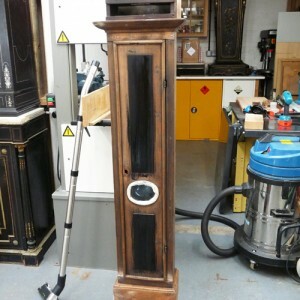 The case had been cut down so we reinstated it to what we thought was its original height. 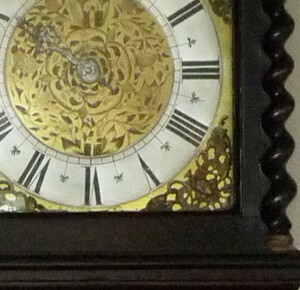 The rising hood mechanism had been removed so the hood and backboard were repaired and the mechanics were made for us by the Oxford Clock Company. 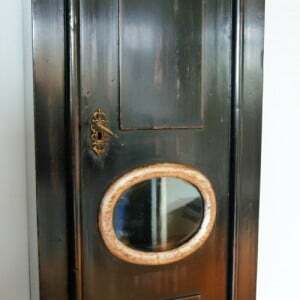 Finally the case was re-ebonised and heavily distressed to present a nicely worn finish.